Ending years in which we lived a hellish, alternate existence in which there was no sequel to It’s A Wonderful Life, an angel has arrived in the form of Star Partners and Hummingbird Productions, who will produce a follow-up to the Frank Capra classic in time for next Christmas, thus answering the considerable shortage of It’s A Wonderful Life around the holidays. The now-73-year-old Karolyn Grimes—who played Jimmy Stewart’s daughter “Zuzu” in the original, delivering the immortal line, “Every time a bell rings, an angel gets his wings”—will return in this new film as an angel and, therefore, that adorable little girl who’s now dead. 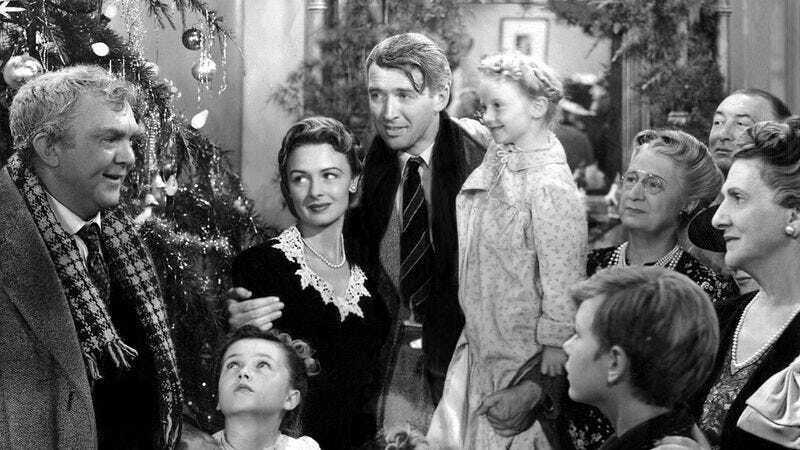 And, in what sounds like a slight reversal of the film’s original message—even though producers insist it “retains the spirit"—she’ll then show George Bailey’s “unlikeable grandson (also named George Bailey) how much better off the world would have been had he never been born.” “Seriously, you should kill yourself,” Grimes will say in this new It’s A Wonderful Life Without Dicks Like You for our more modern, cynical times, her angel character sprouting a pair of sleek, CGI wings every time she racks up a fresh kill.